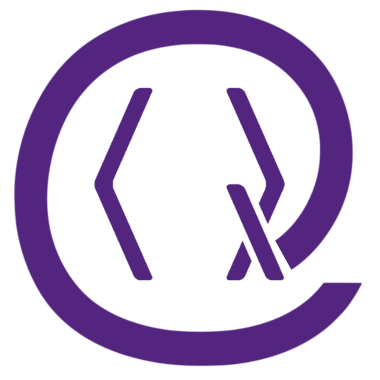 2Current address: Rigetti Quantum Computing, 775 Heinz Avenue, Berkeley, California 94710, USA. Citation: Quantum 1, 11 (2017). We investigate an approach to universal quantum computation based on the modulation of longitudinal qubit-oscillator coupling. We show how to realize a controlled-phase gate by simultaneously modulating the longitudinal coupling of two qubits to a common oscillator mode. In contrast to the more familiar transversal qubit-oscillator coupling, the magnitude of the effective qubit-qubit interaction does not rely on a small perturbative parameter. As a result, this effective interaction strength can be made large, leading to short gate times and high gate fidelities. We moreover show how the gate infidelity can be exponentially suppressed with squeezing and how the entangling gate can be generalized to qubits coupled to separate oscillators. Our proposal can be realized in multiple physical platforms for quantum computing, including superconducting and spin qubits. S. Haroche and J.-M. Raimond, Exploring the Quantum: Atoms, Cavities, and Photons (Oxford University Press, Oxford, 2006). A. Blais, R.-S. Huang, A. Wallraff, S. M. Girvin, and R. J. Schoelkopf, Phys. Rev. A 69, 062320 (2004). A. Imamoglu, D. D. Awschalom, G. Burkard, D. P. DiVincenzo, D. Loss, M. Sherwin, and A. Small, Phys. Rev. Lett. 83, 4204 (1999). A. A. Houck, J. A. Schreier, B. R. Johnson, J. M. Chow, J. Koch, J. M. Gambetta, D. I. Schuster, L. Frunzio, M. H. Devoret, S. M. Girvin, and R. J. Schoelkopf, Phys. Rev. Lett. 101, 080502 (2008). M. Boissonneault, J. M. Gambetta, and A. Blais, Phys. Rev. A 79, 013819 (2009). A. Blais, J. Gambetta, A. Wallraff, D. I. Schuster, S. M. Girvin, M. H. Devoret, and R. J. Schoelkopf, Phys. Rev. A 75, 032329 (2007). J. M. Chow, J. M. Gambetta, A. W. Cross, S. T. Merkel, C. Rigetti, and M. Steffen, New Journal of Physics 15, 115012 (2013). H. Paik, A. Mezzacapo, M. Sandberg, D. T. McClure, B. Abdo, A. D. Córcoles, O. Dial, D. F. Bogorin, B. L. T. Plourde, M. Steffen, A. W. Cross, J. M. Gambetta, and J. M. Chow, Phys. Rev. Lett. 117, 250502 (2016). A. J. Kerman and W. D. Oliver, Phys. Rev. Lett. 101, 070501 (2008). A. J. Kerman, New Journal of Physics 15, 123011 (2013). P.-M. Billangeon, J. S. Tsai, and Y. Nakamura, Phys. Rev. B 91, 094517 (2015a). P.-M. Billangeon, J. S. Tsai, and Y. Nakamura, Phys. Rev. B 92, 020509 (2015b). N. Didier, J. Bourassa, and A. Blais, Phys. Rev. Lett. 115, 203601 (2015). S. Richer and D. DiVincenzo, Phys. Rev. B 93, 134501 (2016). T. Brecht, W. Pfaff, C. Wang, Y. Chu, L. Frunzio, M. H. Devoret, and R. J. Schoelkopf, Npj Quantum Information 2, 16002 EP (2016). M. Nielsen and I. Chuang, Quantum Computation and Quantum Information, Cambridge Series on Information and the Natural Sciences (Cambridge University Press, 2000). A. W. Cross and J. M. Gambetta, Phys. Rev. A 91, 032325 (2015). S. Puri and A. Blais, Phys. Rev. Lett. 116, 180501 (2016). C. Gardiner and P. Zoller, Quantum Noise: A Handbook of Markovian and Non-Markovian Quantum Stochastic Methods with Applications to Quantum Optics, Springer Series in Synergetics (Springer, 2004). M. A. Nielsen, Physics Letters A 303, 249 (2002). F. Beaudoin, D. Lachance-Quirion, W. A. Coish, and M. Pioro-Ladrière, Nanotechnology 27, 464003 (2016). P.-Q. Jin, M. Marthaler, A. Shnirman, and G. Schön, Phys. Rev. Lett. 108, 190506 (2012). A. Bruno, G. de Lange, S. Asaad, K. L. van der Enden, N. K. Langford, and L. DiCarlo, Applied Physics Letters 106, 182601 (2015). A. D. Corcoles, E. Magesan, S. J. Srinivasan, A. W. Cross, M. Steffen, J. M. Gambetta, and J. M. Chow, Nat Commun 6 (2015). C. Macklin, K. O’Brien, D. Hover, M. E. Schwartz, V. Bolkhovsky, X. Zhang, W. D. Oliver, and I. Siddiqi, Science 350, 307 (2015). T. White, J. Mutus, I.-C. Hoi, R. Barends, B. Campbell, Y. Chen, Z. Chen, B. Chiaro, A. Dunsworth, E. Jeffrey, et al., Applied Physics Letters 106, 242601 (2015). M. D. Reed, B. R. Johnson, A. A. Houck, L. DiCarlo, J. M. Chow, D. I. Schuster, L. Frunzio, and R. J. Schoelkopf, Applied Physics Letters 96, 203110 (2010). N. T. Bronn, Y. Liu, J. B. Hertzberg, A. D. Córcoles, A. A. Houck, J. M. Gambetta, and J. M. Chow, Applied Physics Letters 107 (2015). H. Breuer and F. Petruccione, The Theory of Open Quantum Systems (OUP Oxford, 2007). Maximilian Russ, Florian Ginzel, and Guido Burkard, "Coupling of three-spin qubits to their electric environment", Physical Review B 94 16, 165411 (2016). Félix Beaudoin, Dany Lachance-Quirion, W. A. Coish, and Michel Pioro-Ladrière, "Coupling a single electron spin to a microwave resonator: controlling transverse and longitudinal couplings", Nanotechnology 27 46, 464003 (2016). Félix Beaudoin, Alexandre Blais, and W. A. Coish, "Hamiltonian engineering for robust quantum state transfer and qubit readout in cavity QED", New Journal of Physics 19 2, 023041 (2017). Tanay Roy, Suman Kundu, Madhavi Chand, Sumeru Hazra, N. Nehra, R. Cosmic, A. Ranadive, Meghan P. Patankar, Kedar Damle, and R. Vijay, "Implementation of Pairwise Longitudinal Coupling in a Three-Qubit Superconducting Circuit", Physical Review Applied 7 5, 054025 (2017). M. J. A. Schuetz, G. Giedke, L. M. K. Vandersypen, and J. I. Cirac, "High-fidelity hot gates for generic spin-resonator systems", Physical Review A 95 5, 052335 (2017). Arne L. Grimsmo and Alexandre Blais, "Squeezing and quantum state engineering with Josephson travelling wave amplifiers", npj Quantum Information 3, 20 (2017). Xiu Gu, Anton Frisk Kockum, Adam Miranowicz, Yu-xi Liu, and Franco Nori, "Microwave photonics with superconducting quantum circuits", Physics Reports 718, 1 (2017). Samuel J. Elman, Stephen D. Bartlett, and Andrew C. Doherty, "Long-range entanglement for spin qubits via quantum Hall edge modes", Physical Review B 96 11, 115407 (2017). Udson C. Mendes, Sébastien Jezouin, Philippe Joyez, Bertrand Reulet, Alexandre Blais, Fabien Portier, Christophe Mora, and Carles Altimiras, "Parametric amplification and squeezing with an ac- and dc-voltage biased superconducting junction", Physical Review Applied 11 3, 034035 (2019). Maximilian Russ and Guido Burkard, "Three-electron spin qubits", Journal of Physics: Condensed Matter 29 39, 393001 (2017). Nicolas Didier, Eyob A. Sete, Marcus P. da Silva, and Chad Rigetti, "Analytical modeling of parametrically modulated transmon qubits", Physical Review A 97 2, 022330 (2018). C. Eichler and J. R. Petta, "Realizing a Circuit Analog of an Optomechanical System with Longitudinally Coupled Superconducting Resonators", Physical Review Letters 120 22, 227702 (2018). S. Touzard, A. Kou, N. E. Frattini, V. V. Sivak, S. Puri, A. Grimm, L. Frunzio, S. Shankar, and M. H. Devoret, "Gated Conditional Displacement Readout of Superconducting Qubits", Physical Review Letters 122 8, 080502 (2019). J. Goetz, F. Deppe, K. G. Fedorov, P. Eder, M. Fischer, S. Pogorzalek, E. Xie, A. Marx, and R. Gross, "Parity-Engineered Light-Matter Interaction", Physical Review Letters 121 6, 060503 (2018). S. V. Remizov, A. A. Zhukov, D. S. Shapiro, W. V. Pogosov, and Yu. E. Lozovik, "Effects of Energy Dissipation on the Parametric Excitation of a Coupled Qubit–Cavity System", Journal of Low Temperature Physics 191 5-6, 365 (2018). Xin Wang, Adam Miranowicz, Hong-Rong Li, Fu-Li Li, and Franco Nori, "Two-color electromagnetically induced transparency via modulated coupling between a mechanical resonator and a qubit", Physical Review A 98 2, 023821 (2018). Susanne Richer, Nataliya Maleeva, Sebastian T. Skacel, Ioan M. Pop, and David DiVincenzo, "Inductively shunted transmon qubit with tunable transverse and longitudinal coupling", Physical Review B 96 17, 174520 (2017). Mauro Cirio, Kamanasish Debnath, Neill Lambert, and Franco Nori, "Amplified Optomechanical Transduction of Virtual Radiation Pressure", Physical Review Letters 119 5, 053601 (2017). 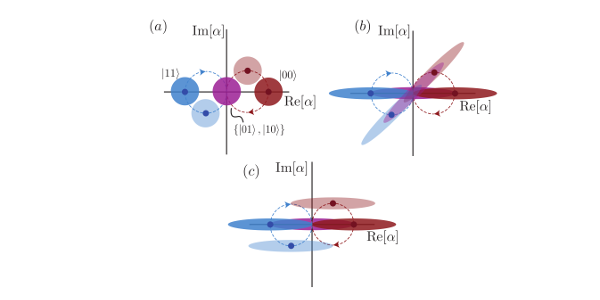 S. P. Harvey, C. G. L. Bøttcher, L. A. Orona, S. D. Bartlett, A. C. Doherty, and A. Yacoby, "Coupling two spin qubits with a high-impedance resonator", Physical Review B 97 23, 235409 (2018). Neill Lambert, Mauro Cirio, Matthieu Delbecq, Giles Allison, Marian Marx, Seigo Tarucha, and Franco Nori, "Amplified and tunable transverse and longitudinal spin-photon coupling in hybrid circuit-QED", Physical Review B 97 12, 125429 (2018). S. A. Caldwell, N. Didier, C. A. Ryan, E. A. Sete, A. Hudson, P. Karalekas, R. Manenti, M. P. da Silva, R. Sinclair, E. Acala, N. Alidoust, J. Angeles, A. Bestwick, M. Block, B. Bloom, A. Bradley, C. Bui, L. Capelluto, R. Chilcott, J. Cordova, G. Crossman, M. Curtis, S. Deshpande, T. El Bouayadi, D. Girshovich, S. Hong, K. Kuang, M. Lenihan, T. Manning, A. Marchenkov, J. Marshall, R. Maydra, Y. Mohan, W. O’Brien, C. Osborn, J. Otterbach, A. Papageorge, J.-P. Paquette, M. Pelstring, A. Polloreno, G. Prawiroatmodjo, V. Rawat, M. Reagor, R. Renzas, N. Rubin, D. Russell, M. Rust, D. Scarabelli, M. Scheer, M. Selvanayagam, R. Smith, A. Staley, M. Suska, N. Tezak, D. C. Thompson, T.-W. To, M. Vahidpour, N. Vodrahalli, T. Whyland, K. Yadav, W. Zeng, and C. Rigetti, "Parametrically Activated Entangling Gates Using Transmon Qubits", Physical Review Applied 10 3, 034050 (2018). The above citations are from Crossref's cited-by service (last updated 2019-04-25 22:09:32) and SAO/NASA ADS (last updated 2019-04-25 22:09:33). The list may be incomplete as not all publishers provide suitable and complete citation data.